This is an image showing the latest entry in my observing log book of comet C/2007 N3 Lulin on february 23/24th 2009 when the comet was closest to Earth. 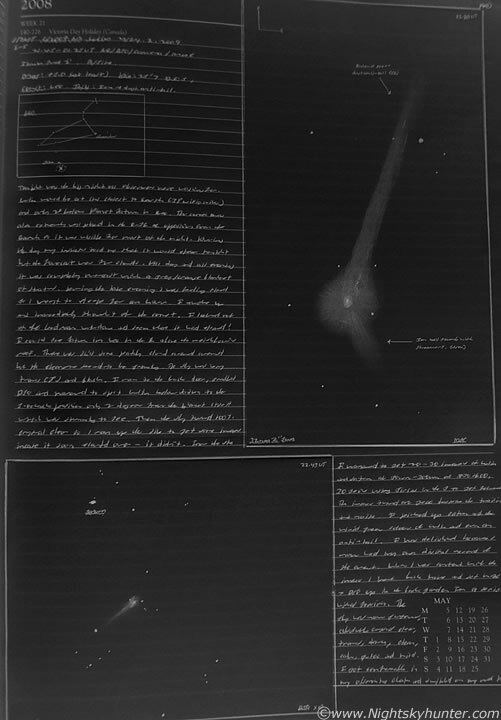 Above is a sketch of the comet as seen through a 8.5" F/7 reflector and the bottom is the view through my 10x50mm binoculars. Lulin was only 2 degrees below Saturn.